The WORKSHOP 2-1/2" standard hose features Dual-Flex technology that resists crimping and collapsing, and adds 180Degree flexibility at both hose ends for enhanced maneuverability. The locking tab won't pull loose during use, and the 2-1/2" diameter allows for larger sized debris collection and maximum airflow. Shop vacuum hose resists crimping and collapsing with the additional flexibility on the vac hose ends. 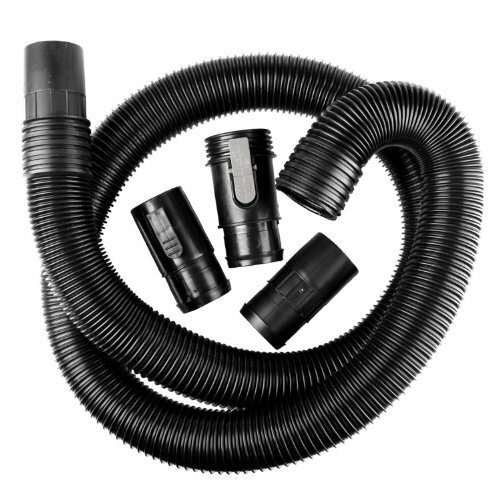 2-1/2-Inch x 7-Foot Dual-Flex locking hose offers 180 Degree flexibility at both hose ends. A feature that is unique among shop vacuum hoses that lets users bend the hose to reach previously unavailable areas.